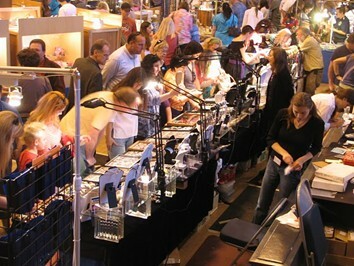 Since 1953, features exhibitor displaying and selling their wares. Come to the Santa Cruz Civic Auditorium in April 2019 for a terrific rock, mineral, gem, lapidary, and jewelry show. The Civic is located at Center and Church streets, downtown Santa Cruz, CA. Doors are open from 10am to 5pm, and admission is just $6. Children under 12 and Scouts in uniform get in for free. Look for $1 off cards in local stores, in advertisements in local newspapers.